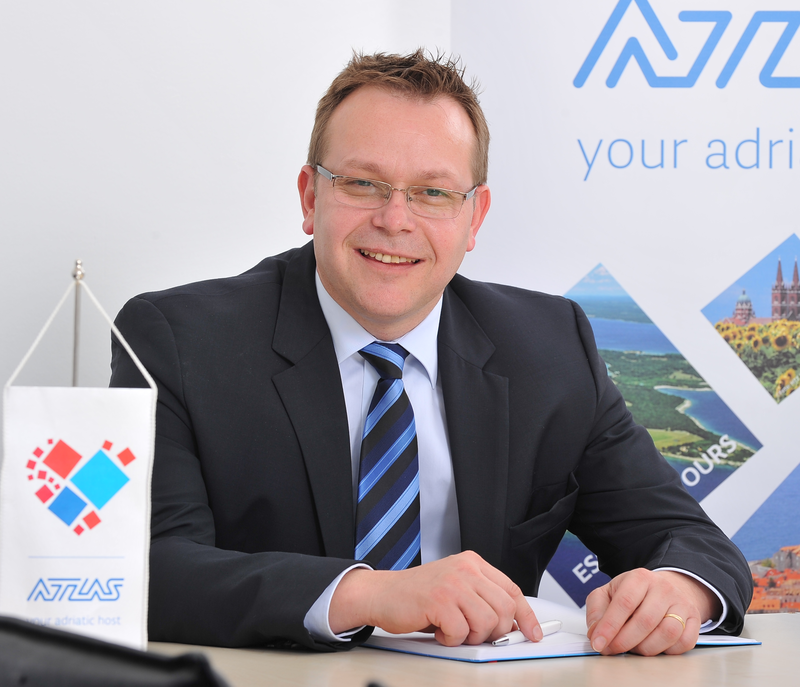 Mr. Tomislav Matija Varga is the Chairman of Atlas and adriatica.net Group Management Board. In the past four years he has been working on consolidating the business operations of the entire adriatica.net Group while also managing Atlas, the leading destination management company in Croatia. His areas of management include over 20 companies of the Kompas network, located in the heart of the most interesting global tourism markets and destinations, as well as all segments of the tourism business – inbound and outbound operations, including tour operations, DMC operations, and corporate business segment. With long-term experience in the finance segment, extreme sociability and a gift for international relations, in a short period of time Mr. Varga brought new values to the business operations of adriatica.net Group, the biggest tourism group in the region. He joined adriatica.net Group in 2014 from the position of Chairman of the Management Board for Croatia and Slovenia at Erste Group Immorent (EGI), member of Erste Group, where he also held the position of the Regional General Manager for Croatia, Slovenia and Montenegro. During his long and respectable career, he worked as advisor to the Chairman of the Management Board and Finance Manager at Ingra d.d. (2008-2009), as well as Executive Director of Corporate Finance at Agrokor (1999-2008). He managed projects and worked as advisor at the United Nations in Vienna, and he began his career in 1989 in Canada. He graduated from the Webster University in Vienna, majoring in management and international relations. He is a member of the American Chamber of Commerce’s Tourism Committee, the Zagreb Tourist Board’s Tourism Council and the Croatian National Tourist Board’s Assembly.